Don’t trust either your GPS or internet maps to find us! Most of them have us in the wrong location! Our GPS coordinates are 37.13306 latitude and -86.02213 longitude. 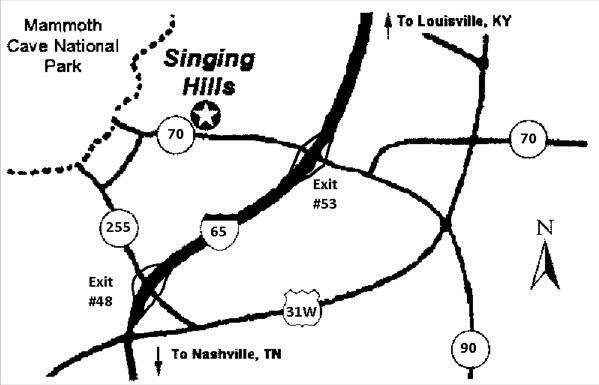 Take exit #53 off of I-65, then go west on 70 (Mammoth Cave Road) for about 2.5 miles. We are on the right side of the road across from the Ridgetop Fishing Lakes.